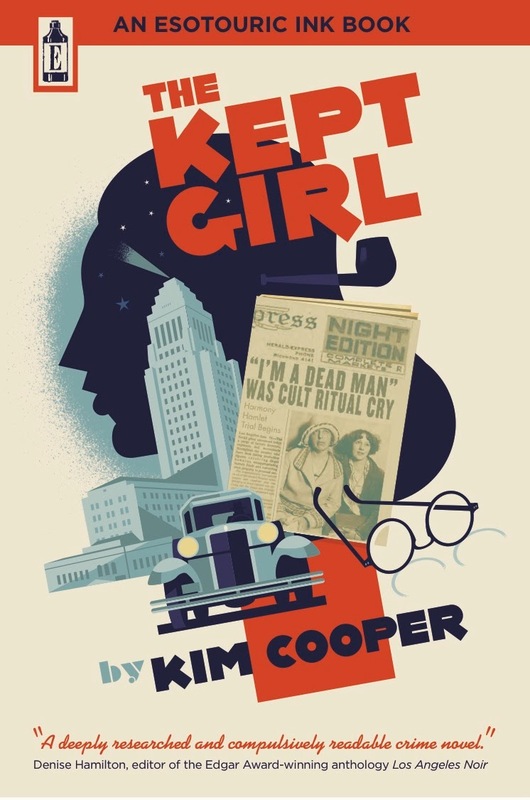 Kim Cooper's "The Kept Girl": Presenting: How To Find Old Los Angeles, a guidebook to the city that was... and still is! Presenting: How To Find Old Los Angeles, a guidebook to the city that was... and still is! I'm pleased to announce the release of How To Find Old Los Angeles, my second title from Herb Lester, the stylish London-based publishers of travel guides and folding maps too pretty to make notes on. Included are 153 historic places that will delight any seeker of cool, old Los Angeles. 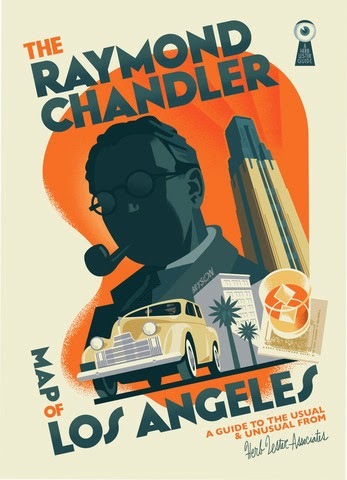 Two years ago, I had the great honor to be asked to write the text for Paul Rogers' fold-out Raymond Chandler Map of Los Angeles. Like the map and my novel The Kept Girl (also with artwork by Paul Rogers), How To Find Old Los Angeles is available as a souvenir when you join us for an Esotouric bus adventure, or from Esotouric by mail. You can also find it wherever fine paperback books are sold, on Amazon and direct from Herb Lester. From the introduction: Los Angeles, its critics say, has no more respect for its past than for an empty paper cup. Like most digs aimed at the Big Orange, this simply isn’t true. All across its 503 square miles and 88 municipalities, you can find thriving historic establishments, dishing out chili dogs and cheesecakes, sidecars and self-realization, all with a heaping side of Southern California soul. This book is intended as a pocket guide to worthy pockets of old Los Angeles commerce and culture, from La Puente to La Cienega, Pacific Coast Highway to Hollywood Boulevard. It includes bakeries, bars, bookshops, bowling alleys and many fine things that don't begin with the letter B. Some of these iconic sites are featured on my Esotouric bus tours; others are personal favorites. Each one is a stamp in the informal passport of the true Angeleno. 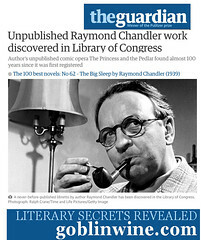 To get your copy: click here, or join us on the bus. Kim I picked up your gem of a guide in a bookshop in Los Feliz. My wife and I used it as our touring guide "Bible" during our LA trip. What a great book! Please consider filming and selling DVD's of your tours in the future. I would love to be able to visit all of the cool LA haunts that you know about from far off PA via a DVD tour that you lead. We hope to attend one of your tours on our next trip. I really hope you will seriously consider my suggestion about filming DVD tours. Thanks.